4GEE, the UK's only LTE network, has added the recently-announced HTC One SV handset to its growing stable of 4G-ready devices. The mid-range device was launched in December, but it's taken a full month for EE to sign it up on its fledgling, next-gen network. Aside from the new 4G radio, the SV is a slightly scaled-back, more rounded version of the HTC One S handset and employs a now-modest 1.2GHz dual-core processor to do the heavy lifting. 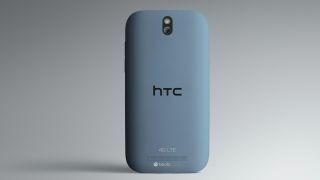 The 4.3-inch screen also has a lower resolution than the HTC One S, while there's also a 5-megapixel rear camera and a 1.6-megapixel front-facing camera. So, with those trimmed-down specs, it's a slight surprise that Everything Everywhere is asking for £36 a month for a mere 500MB of 4G LTE data. Those hoping for a data plan they'll actually be able to use without living in a constant state of panic, will have to pay £46 for 3GB. In December last year, third-party retailers began selling the device for £329.